Mr Carpet is a South London based independent chain of specialist flooring retailers established since 1983. All our staff have many years of experience and a wealth of knowledge of all types of carpets, wood & vinyl flooring and the installation processes required for a premium installation. We actively encourage working with customers designers, architects or tradesmen to ensure a trouble free installation and our experienced installers are happy to carry out the removal of any existing floor coverings and the removal and replacement of most furniture. 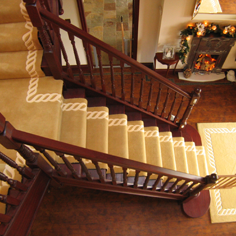 For many years we have worked with designers and letting agents, providing carpet and flooring for their clients whilst maintaining their reputation with our outstanding service and quality.